Shakespearean plays were a drag when I was in high school. The Elizabethan English prevented me from following, much less enjoying the plot. I became really interested in Shakespeare in 1982 when I watched a superb Body Politic production of Twelve Night in Chicago. The comedy includes cross-dressing and a series of humorous errors, drawing roaring and rib-tickling laughter from the audience. My experience illustrates the beauty of theater in making literature alive. 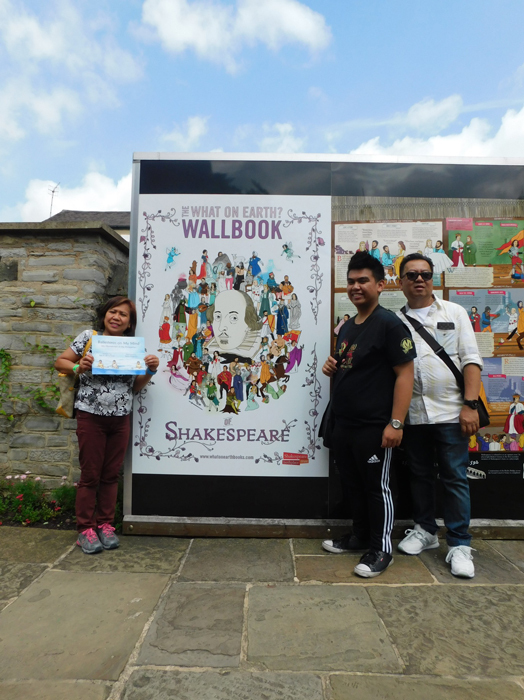 From thereon, I got hooked on Shakespeare, who has since become part of my arts diet. I have subscribed to the Chicago Shakespeare Theater for many years, and I look forward to every performance! I was looking for my airport pickup at the Heathrow Airport in London, and Tasuin Lajato Chilcott offered her cell phone for me to call the company. She is a supervisor for a concierge company. I met my first cousin Juvy Edrozo Viloria (Luna, Apayao) and her husband, Marlon Viloria (Magsingal, Ilocos Sur), and their daughters, Valerie and Jessica. Juvy and I had not seen each other for almost four decades. I had a reunion with Maria Peñas (Makati City), who I met in Barcelona, Spain, a few years ago. I met her friend Mariam Camara. We all had fun exploring Victoria Place in London. 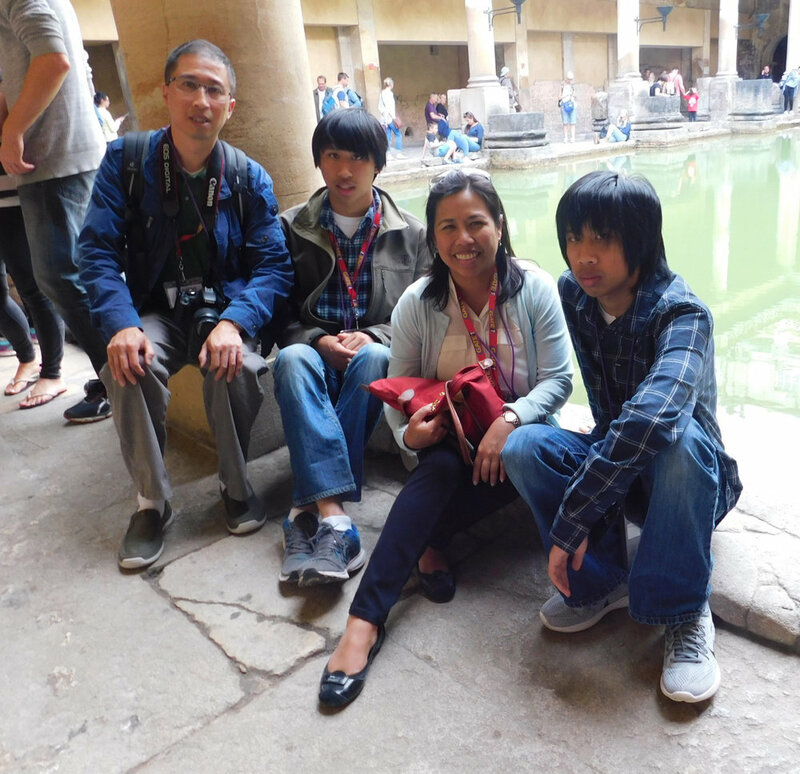 I met Robert and Lulu (nee Villanueva; Parañaque City) Kong and their sons, Ian and Eric, at the Roman Baths in Bath, England. They were traveling from San Francisco, California. 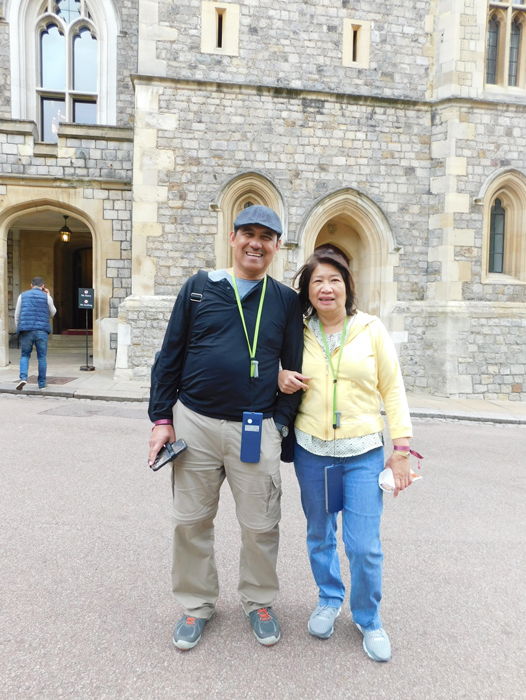 I was touring the Windsor Castle, and I met Willie Liwanag (Bacoor, Cavite) and Cora Calvan Liwanag (Laoag City, Ilocos Norte). They were visiting from Lake Forest, California. The Stonehenge at sunset was a dramatic setting for me to meet Renz Marcus, Zenaida (nee Acuña), and Elmer Francisco. They were visiting from the Philippines. 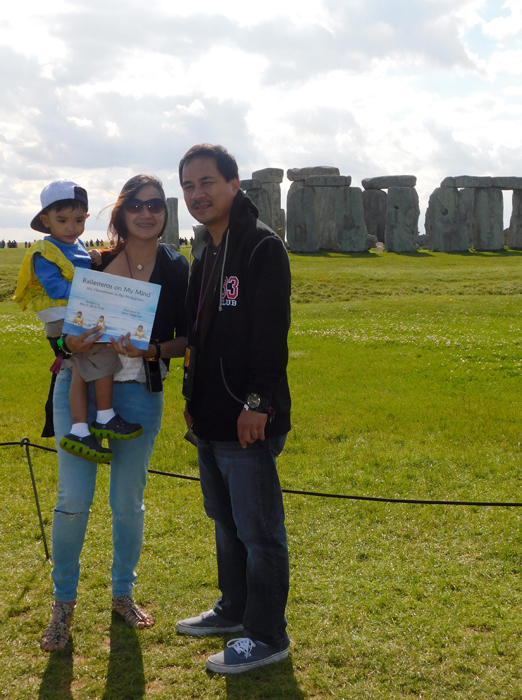 I met May Oliva (Silang, Cavite), at the gift shop of Stonehenge. She is visiting from Taree, New South Wales, Australia. 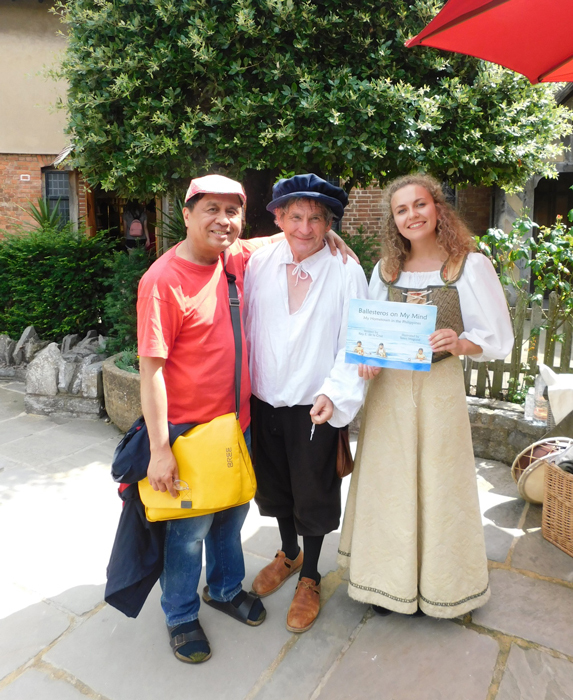 I took a day trip to the Wicker Castle, Oxford University, and Stratford-upon-Avon with Juanito and Ofelia (nee Cayabyab) Santander and their son, Kyle. Juanito and Ofelia are both from Pangasinan, he from San Carlos and she, Bayambang. The family resides in Milpitas, California. I departed from London to catch my flight to U.S. I was looking for a water-refill station at the Heathrow Airport in London, and Edison Laroza (San Pablo City, Laguna) gave me directions. He works at the liquor department, and he served me generous samples of whiskies. Now, I call that “Pinoyspotting” clout!